It's kind of magical from the ground (at least, for those of us who get to stay inside), but the winter storm blanketing much of the Northeast and Midwest is a different beast when viewed from above. 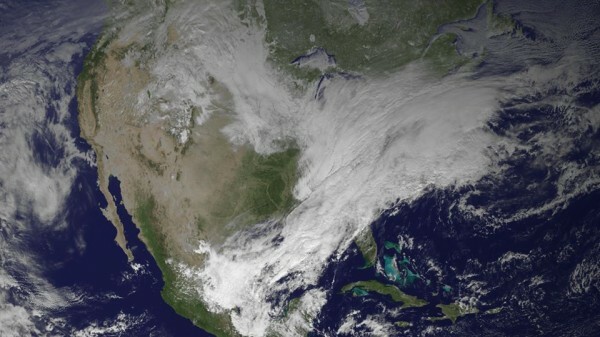 On Thursday, NASA's Aqua satellite made multiple trips over the continental U.S. The result is this composite, true-color image of the storm as it made its way up the eastern seaboard, bringing up to 2 feet of snow to areas around Boston and wind chills as low as 55 degrees below zero to the northern Plains. Just remember: this is weather, not climate.